Hands-down, my kids' favorite way to learn history right now is from biographies. Childhood of Famous Americans and the Landmark series are two super well-worn series in our home. Have you noticed though that finding engaging children's biographies for individuals outside of American history is a lot harder? Maybe it's because we live in America...I don't know. 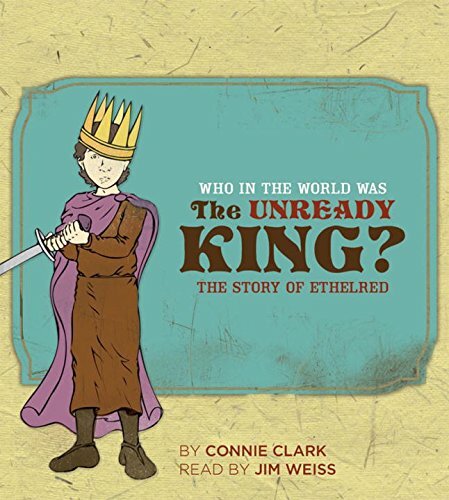 Maybe there are tons of great children's biographies about British kings and queens in England, and we just never see them on this side of the pond...if you are from Britain, you should write me and let me know. I do know though that whenever I find a children's biography from broader world history I take note. Since it's possible others are in the same boat, I thought I would just mention a couple of series that our family has run across in this category that are good finds. These nine books are put out by The Well-Trained Mind and complement The Story of the World books. While they are not explicitly religious in their perspective, most Christian families don't find much that is objectionable. They are a good length and deal with individuals with some interesting angles to their lives from a child's perspective. Perhaps the size and shape of the books is not as inviting as it could be- but still a good choice for helping to bring history alive. 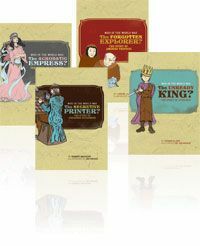 Many books from Bethlehem books are written from a Catholic perspective. In the three books listed above, only in Augustine Came to Kent is that really noticeable, and as a Protestant I still found it more valuable than problematic. 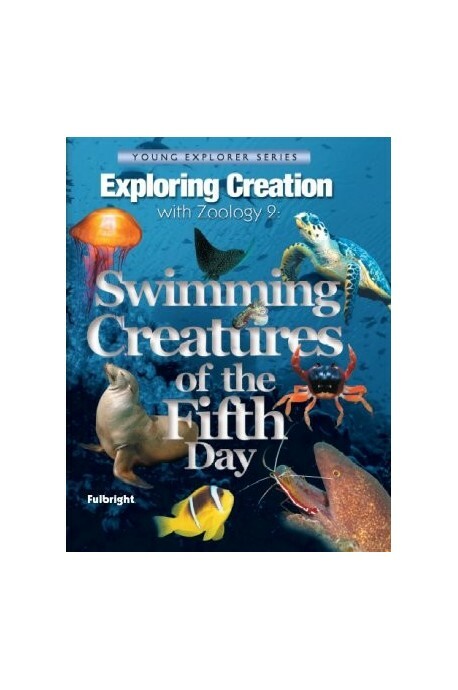 The curriculum we chose for science this year is Apologia's Exploring Creation, Zoology 2: Swimming Creatures of the Fifth Day. Mostly as a read aloud. I have the kids give me a Charlotte Mason style narration after most sections. We read about 3 times a week for 3 or 4 pages. Sometimes I also have the girls read it on their own, but I do find that they retain and enjoy the material more when we read the book together. We will not likely make it through the entire book this year, but I'm ok with that. On days when I am less available to work with them, the girls do supplementary activities in the notebooking journal. The Exploring Creation series is written to be used in a certain order (according to the days of the Creation week). We have not followed that sequence, but rather picked the subject that fit best with our curriculum for a given year. 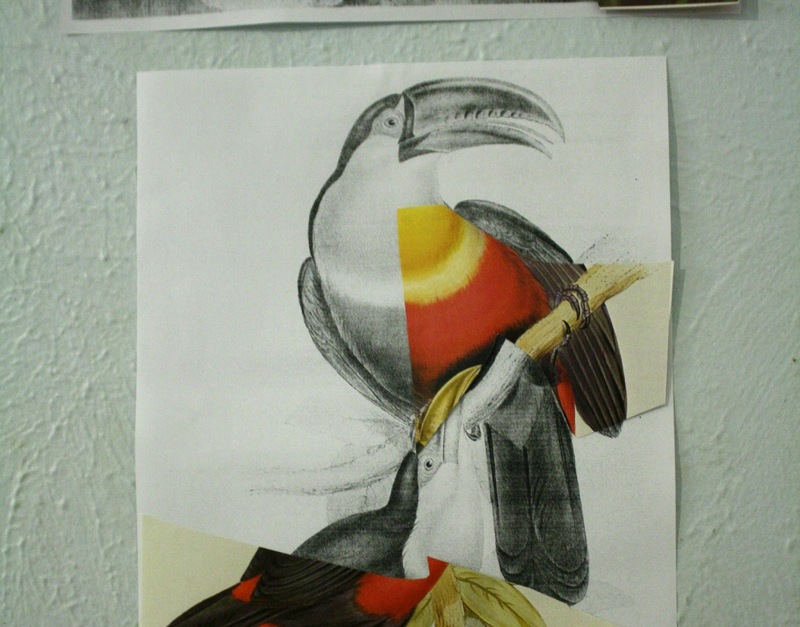 There are points at which going out of order has felt less than ideal because the information does build on itself to a small extent from year to year, and because the difficulty of the writing increases as the series goes on. Generally, however, we have found this approach to work just fine. Conversational Tone- There are lots of questions peppered throughout the text to keep kids engaged, and the author often gives information in a way that relates to experiences kids typically understand. Sense of Wonder- The author is awed by the complex facets of God's creation, and the excitement is contagious. Great Pictures- Sometimes the pictures are helpful at illustrating a key concept that is difficult to explain with words alone. Other images, however are just plain fun- showing some obscure creature like the almost entirely flat pipa pipa toad who suctions his food into his mouth like a vacuum. I often find myself wishing the pictures were a little bigger though. Systematic- The book generally works through levels of classification from broad to narrow; so you feel like you are actually getting somewhere as you move through the chapters. A systematic approach can easily be too dry for kids, but this text generally avoids that pitfall. Do-Able Experiments- Horray for science experiments that don't require a separate trip to Walmart or an order from an online biology resource company! Lots of the ideas given only require household materials. (We generally avoid the ones that require purchasing things we don't already have) Some activities that are tucked into the text don't require any materials at all. Here we are having fun testing the effectiveness of blubber at insulating seal and whales with our hands covered with petroleum jelly in a bowl full of ice water! Exploring Creation: Swimming Creatures is a great resource for Christian home school families. We can't wait for the next time we go to the aquarium. Because of our increased understanding and interest I anticipate an even richer experience than it has been in the past. I am thankful for publishers like Apologia who pursue both academic rigor and delight in the Lord. I requested a review copy of the Nature Reader set from Christian Liberty press because I had a feeling it would be right up our alley. I'm happy to report that suspicion was true. So far we have really enjoyed our time reading and discussing them. The books are a series of leveled readers, starting at kindergarten level and going up through level five (six readers in all). They are meant to be read by the child rather than as read-alouds from the parent. (The earlier levels even have larger print). Primarily, they are intended to help children improve their reading vocabulary and comprehension, but a lovely side benefit is all of the wonderful knowledge of God's creation that the kids absorb as they go along. I would judge the reading difficulty for each level to be slightly higher than most modern readers, but the content itself is so interesting that it distracts from the extra effort required. Much of the information, especially in the early levels is told in story form. Most mornings I put the nature readers on the list of school work for my nine and seven year old to complete that day. They read about three sections (about two pages) and then find me in order to share with me what they've learned. Usually, they are very excited to do this, and will eagerly ask me something like: "Do you want to learn about honey ants or parasol ants first?" It's fun for them that they often have things to tell me that I did not know. The readers also contain review questions that could be used to quiz the children orally or in written form and answer booklets to check their work. So far, though, I've found that the readers work really well with narration, and we haven't used the review questions. My favorite aspect of the books is the author's playful and interested attitude in discovering details about the world God's creation. She writes in a conversational tone that engages a child and inspires wonder. Sometimes I feel that Christian science textbooks tend to include references to the Lord in a heavy handed or compulsory kind of way. Not so with these books. You get the feeling that she would speak the same way if she were with you in a field, showing you plants and animals in person and that her references to the Lord flow out naturally from her thoughts. Though there is a lot of discussion about God's wise purposes seen in the details of what He has made, the author doesn't use them to argue against evolution like many Christian textbooks. For the elementary years, I actually prefer this approach. There will be plenty of time later to discuss faulty theories.. Better first to simply praise the Lord for what He has done and to learn to see His hand in everything. We also appreciate that so many of the animals and phenomena described are things that we encounter in our own backyard or in the woods nearby. I really think Charlotte Mason would approve of these books as the kind of "nature lore" that helps children be more observant of their own world. The plentiful illustrations are single color, but lovely and realistic. The kindergarten reader, though visually attractive with lots of full color photographs, is not written in the same engaging tone as the other books. 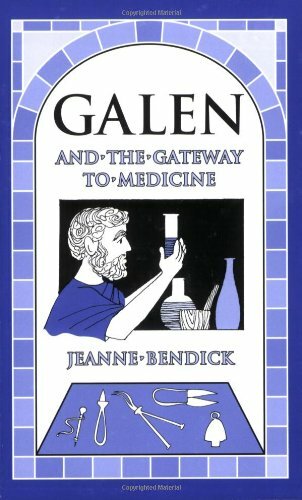 We still read it and enjoyed it, but the writing is much more a collections of straightforward (but interesting) facts . Also, the reading level is barely below that in level 1, if at all. It would have been nice to have a more basic early reader for children who are just beginning to read. The only other quibble I have is with the organization of levels 1,2, and 3. My kids didn't care at all about this, but it slightly annoyed me that I could not find the driving organizational structure in the first three books. For example, the topics seemed to jump from insects to medium sized meadow creatures back to insects again for no apparent reason. Overall though, these books are a treasure. As Charlotte Mason said,"We were all meant to be naturalists, each in his degree, and it is inexcusable to live in a world so full of the marvels of plant and animal life and to care for none of these things. 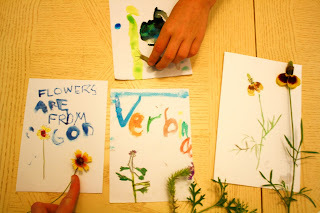 I love that the Christian Liberty Nature Readers not only help children to know the details of what God has made, but also to delight in them. I love reading these kinds of posts from other people; so I thought I'd share ours too. 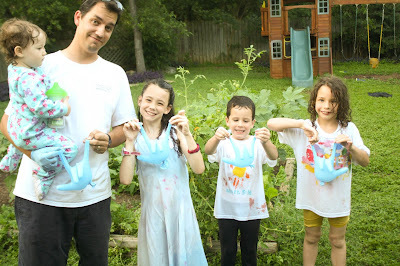 Every homeschool family has their own approach to curriculum. Mine is to have tons of curriculum on hand- more than we have time to cover every day. Math and Bible are the only things we do absolutely every time we do school. Everything else we tuck in when we can, and the things that seem to be working best end up getting more play time. Mystery Science- just discovered this website this year. They take a lot of the planning and prep work out of science experiments. Hymns: Comfort, Comfort ye My People, Lo How a Rose E'er Blooming, O Sacred Head Now Wounded. So that's the skeleton of our homeschool life. I'd love to hear your recommendations and experiences. *The above post contains affiliate links. When you purchase items through these links, I receive a small fee, at no extra cost to you. Thank you for all your support! Nine years into my adventure with kids, I have witnessed my fair share of post-bedtime trips to the bathroom, desperate pleas for water and band-aids, and sad little whimpers that they "just can't sleep." One particularly fidgety night though a couple of years ago, I stumbled on to a little trick that really does make bedtime a lot more fun for everyone in our family. I call it "the sleep assignment." It's a sad but true fact that the giant art history book full of beautiful artwork is most often used in our house as a bug smasher. I prefer it to a shoe because I can smash the bugs without coming near them. I just pitch the thing across the room in the general direction of the offending insect and hope for the best.